Sonic The Hedgehog Movie Coming 2019 | Nerd Much? In an interview with GamesIndustry.biz, Sega Networks’ chief marketing officer Mike Evans spoke mostly about Sega Forever. This is a program that allows a series of Sega titles on all mobile devices, mostly the very old ones, like the original Sonic The Hedgehog. Only five titles have been announced thus far including: Sonic the Hedgehog, Comix Zone, Altered Beast, Kid Chameleon, and Phantasy Star II. Sega does not plan on stopping there either, they want to make a kind of Netflix of Sega games, slowly expanding to include the 30 plus years of games the company is responsible for. A very exciting idea, especially for those that miss the original Sonic on the old Game Gear. There has never been a platformer quite like the original game, especially in portable form. We shall see how the mobile controls translate from the old school button mashing, but if Super Mario Run can do it, why can’t Sega? Sega Forever will be free to purchase and free to play, but if you want to remove ads forever, you can pay the $1.99. You can go download the app now and there will be a new game every two weeks, not including the five titles already mentioned. But Sega Forever is not the only thing Evans spoke about. The marketing officer also mentioned that Sega is planning on chasing down the nostalgia so popular in the gaming industry at the moment. Especially in light of the success of Nintend’s NES mini. 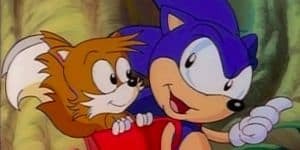 Those plans include “a Sonic movie coming in 2019.” Nothing more was clarified on the film but it was a title announced quite a few years ago. Development appeared to be stalled until now, so it seems Sega is reviving the idea and working on hard on getting a Sonic movie out there.